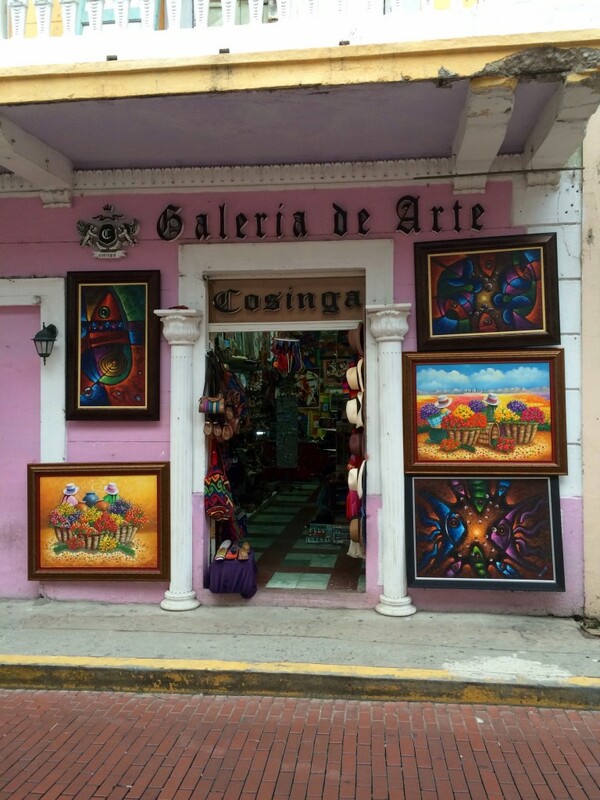 After having visited Panama La Viejo recently (Look at my previous post) it is important to now go to The Casco Viejo or “Old Quarter” which I see as the heart and spirit of Panama City. This area was built after Panama Viejo (from my previous post) was nearly completely burned down and declared a World Heritage Site in 1997. 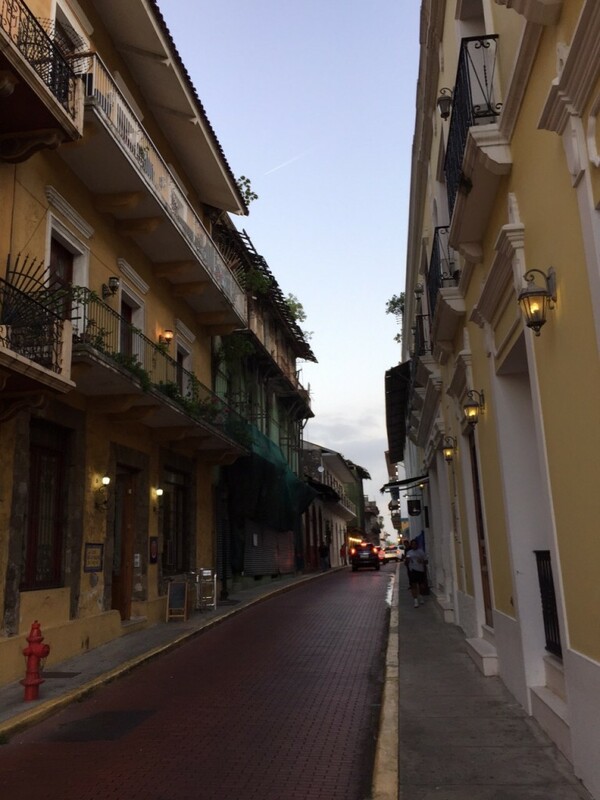 The now restored Casco Viejo is not only the home of Panama’s history but also its nightlife, chic restaurants, boutiques and museums. Currently, its rooftop bars and restaurants are the best location to enjoy the spectacular views of the city’s modern skyline. What I enjoy the most being in the Casco is being able to walk everywhere and that everyone else does the same. 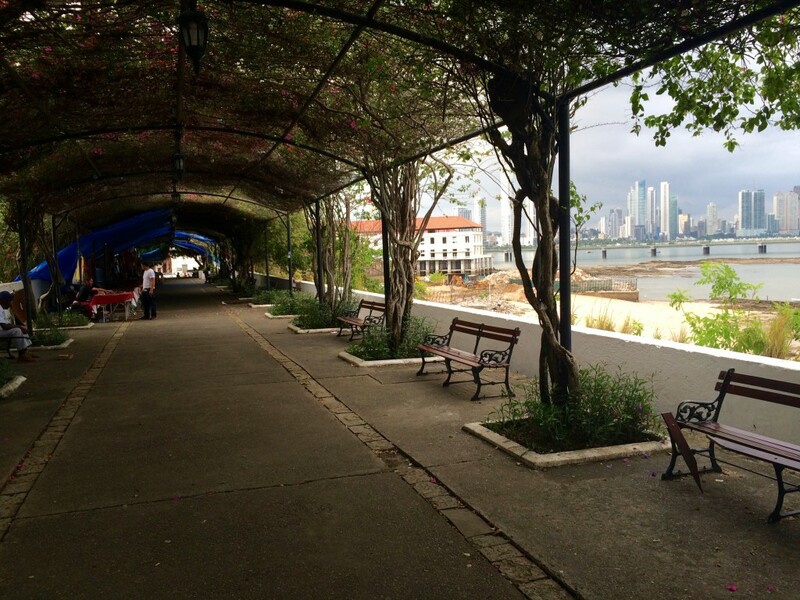 Panama is famous for having too many cars, but to actually benefit from being in this area make sure you are on foot! As it has been a while since I was last here, I took a tour called Eco Bikes where you sit in a little wagon behind the bike and visit the most historically relevant sites in the Casco in approximately one hour. 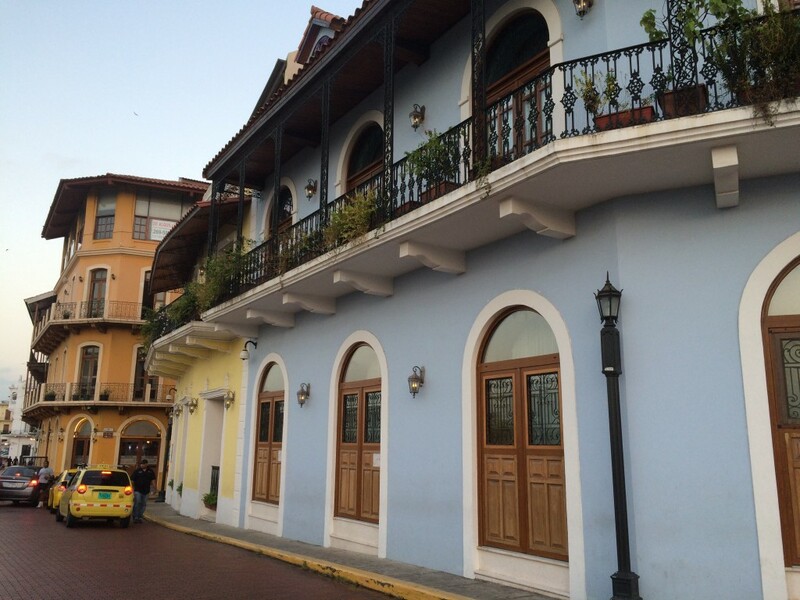 This building named “The Flat Arch” played a very important role in Panamanian history. It was built in 1678 and several years later after withstanding earthquakes and tropical storms it was decided that there was no reason not to build the Panama Canal. It was later burnt down. 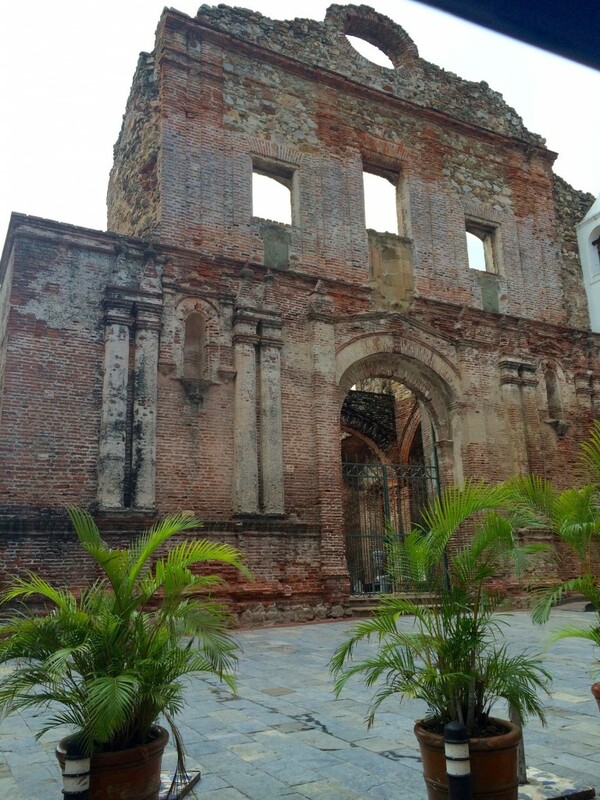 At the Arco Chato you can also find the Museum of Santo Domingo which has a replica of the golden altar of San Jose. 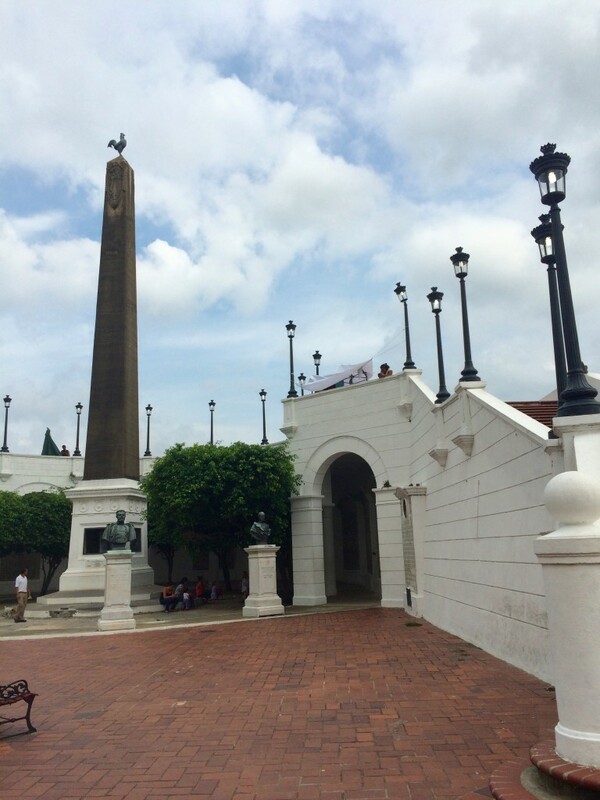 The “French Plaza” is characterised mostly by its obelisk that was built to honour all the French people who died during the first attempt to construct the Panama Canal. Every time that I have returned to Panama I have always loved that this plaza is the one place that I know I will always find Raspado. 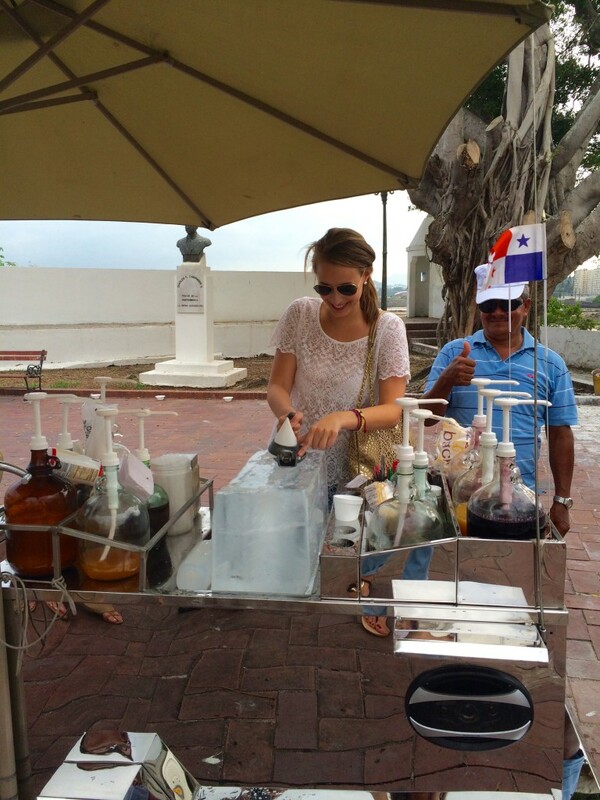 “Raspado” is typical of Panama, it is hard to describe but can be considered an ice slushy that after choosing the desired flavour you top with condensed milk. For the first time I asked Julio (Julio has been selling Raspado since I can remember) if I could try and make one. Going back for a moment to the post I wrote about James Bond in London, I found a filming location for Quantum of Solace right on this square! Las Bovedas can be found above Plaza de Francia and is a passage where weapons used to be stored to protect the city against pirates. 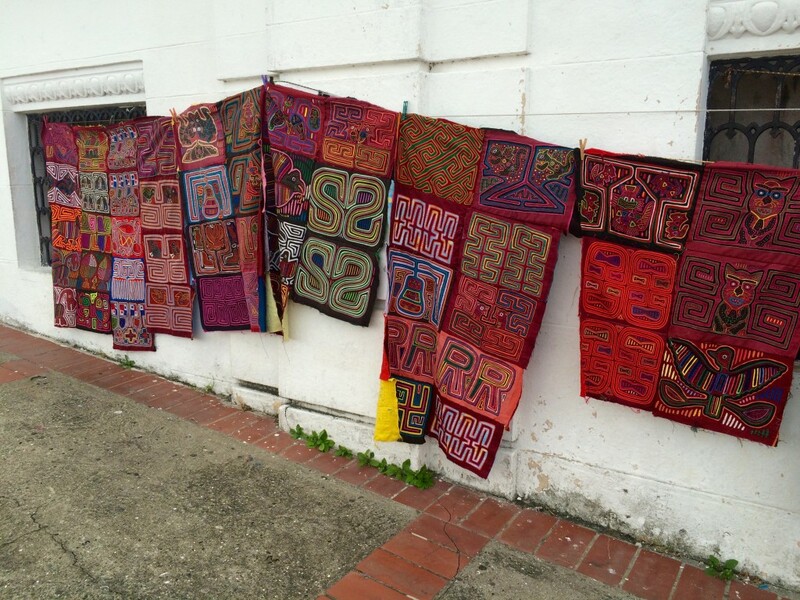 In the present day artisanal work is sold by the Kunas and it also has beautiful views over the Panamanian skyline. The Kuna or also “Guna” are indigenous people from Panama, they live in various cities in Panama but most can be found in Kuna Yala (North East Panama) or also known as San Blas. If you think you have seen paradise make sure you don’t miss my post about my visit to the San Blas islands in the next few weeks! Las Bovedas with a clue of the view over the city! The Plaza of Independence is the principal square in the Casco and the place where Panama declared its independence on November 3rd 1903. It is the location of several important buildings such as the Canal Museum, Municipal Palace and the cathedral. 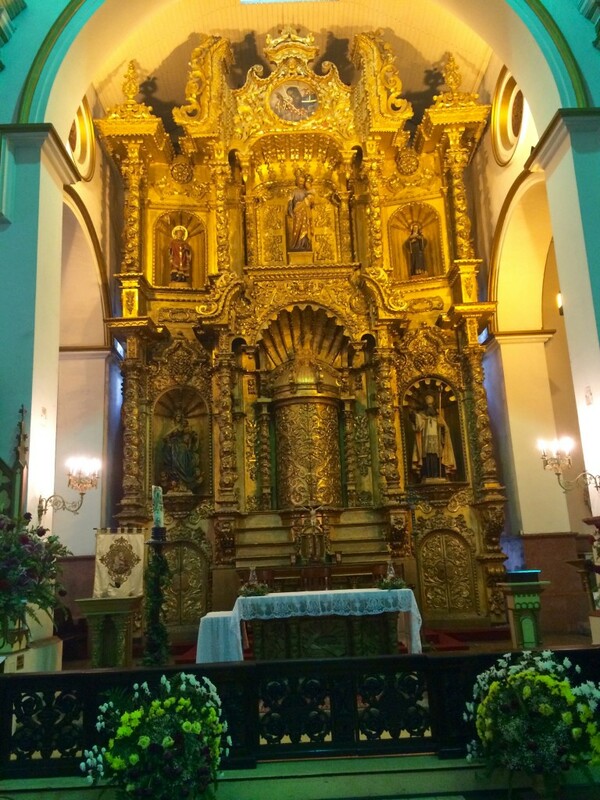 The San Jose church is famous for its golden altar and the story behind how it was saved. It is said that to avoid the altar from being stolen by the pirate Henry Morgan when he arrived in Panama, the priest of the San Jose church painted the altar with black paint to hide its value. Also known as the Residence of the President of the Republic, the building has been there since 1673 and refurbished in 1922 by its president at the time. The National Theatre is located on the opposite side of the Government but in the same building and located near Plaza Bolivar. 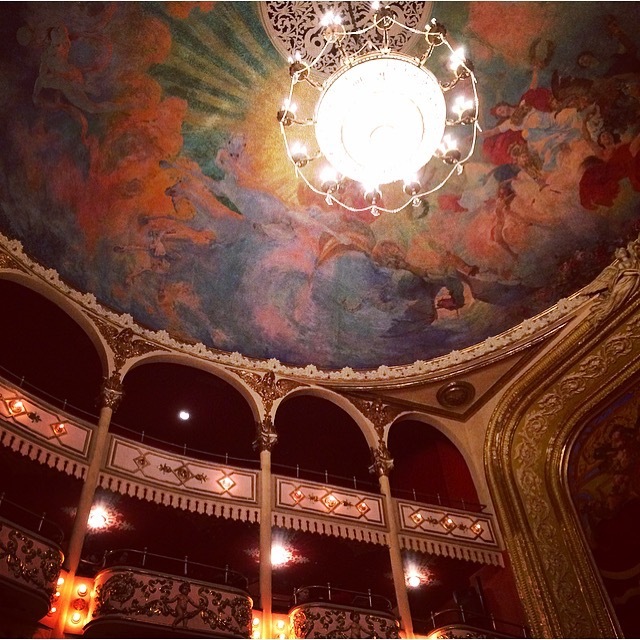 The Theatre has the capacity for 853 and is where I recently watched the performance of Jesus Christ Superstar. Plaza Bolivar was originally known as Plaza de San Francisco and came to be after a fire burnt down houses creating enough space for the plaza. Surrounding the plaza and the statue of the liberator Simon Bolivar, you see the Church of San Francisco, the Bolivar Palace and the National Theatre. It currently is immersed in restaurant terraces where you often hear live music. Originally known as Plaza del Triunfo, it was used for bull runs until 1887 when it received its present name in ‘Honor of the General Tomas Herrera’. It is the location of one of the best hotels- The American Trade hotel and the beginning of my second tour. 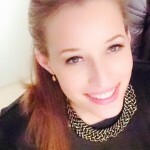 For those looking for a more “unique” tour and are a bit more on the adventurous side then this tour is for you; it is currently the trendy thing to do! It is the Fortaleza Tours which is led by former gang members of the gang “Ciudad de Dios” in Panama. They have turned over a new leaf and are looking to create a better life for themselves and their families. The tour began at the American Trade hotel that used to be called La Casa Grande where several low-income families lived and more importantly was used to smuggle drugs. There is a famous story about Mario la Mafia- but I won’t give it away. This was the second building to contain an elevator in the entire city! 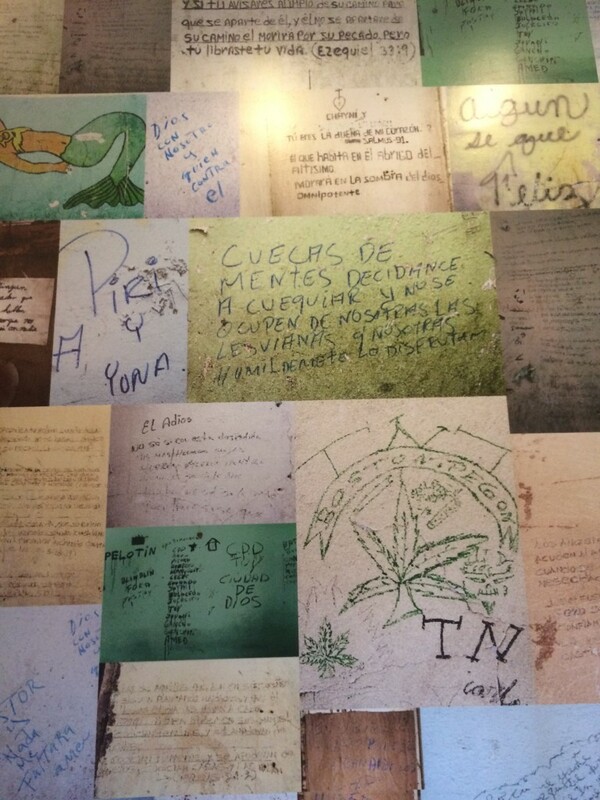 We entered the hotel and were told that when the hotel was initially built, it was covered with graffiti. In order not to erase the building’s identity they captured the graffiti with pictures and now use it as decoration for their stairwell. 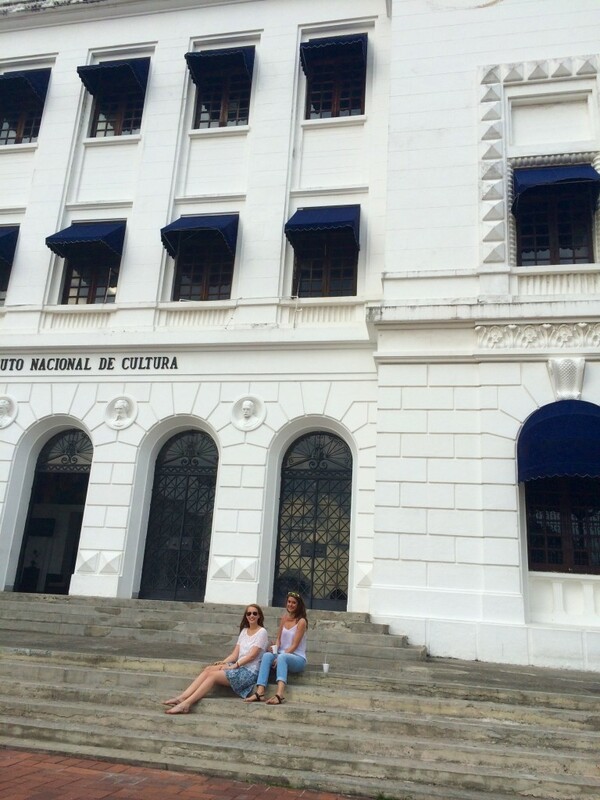 We then continued to Barco Boyaca which is a building that was inspired by an old Colombian ship. It is now a heritage site belonging to the government and is used for seniors that have lived their lives in the old city. 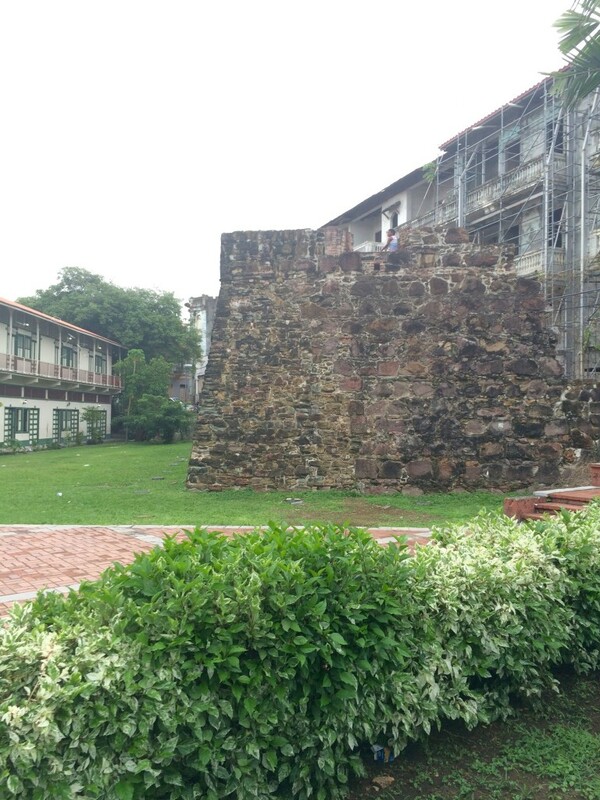 The remains of the wall right next to Barco Boyacawas built in 1662. 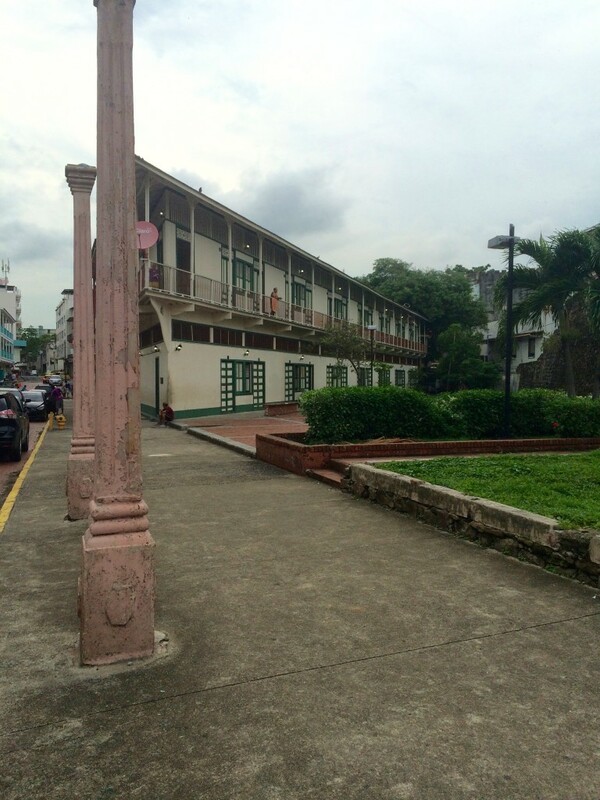 This is where the city was established after Panama la Viejo (the initial city) was burnt down. The gap on the top of the wall was used for canons to defend the city and its two entrances, from the Ocean and land (Puerta de Tierra y Puerta de Mar). This infrastructure only began to be conserved in 1999 when it became the Unesco Heritage site. There is an area nearby that was used as inspiration for a Brazilian movie called “Ciudad de Dios” (like the Gang). 10% of the gang descendants still live in the area. Walking a bit further we reach a “Mirador” or a “viewing” spot where you can now see the extension of the CintaCostera (To be discussed in another blog post- be sure not to miss it) and the first hydroelectric plant, called la Noira, in the city as well as the Islands connecting the Causeway. The house found next to the mirador used to be a zone to avoid but has now been turned into a nightclub called “La Buat” that is also managed by reformed citizens. 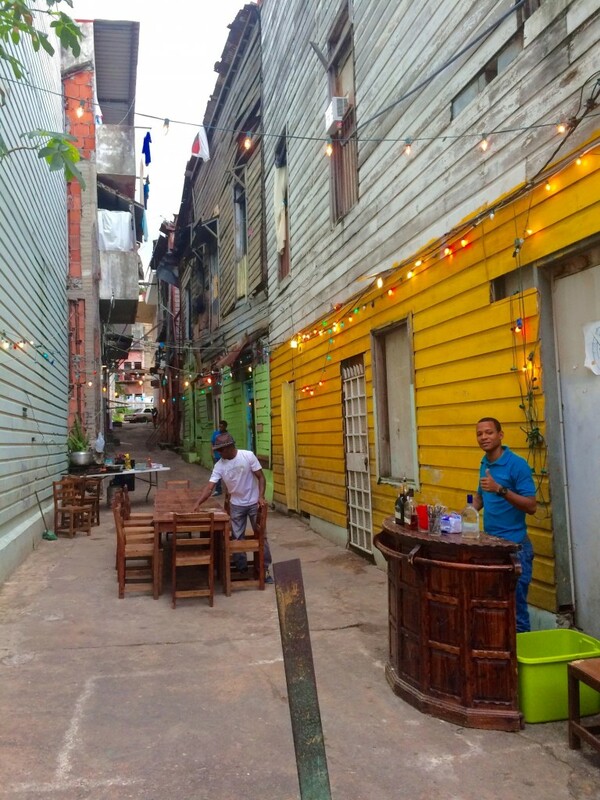 The tour ends near plaza Herrera where it began at an alley called “El Callejon” where you enjoy drinks and a dinner prepared by the former gang members. At first I was a bit reluctant to join the tour but I am glad I participated. I was able to see another side to Panama and this side is only becoming better! 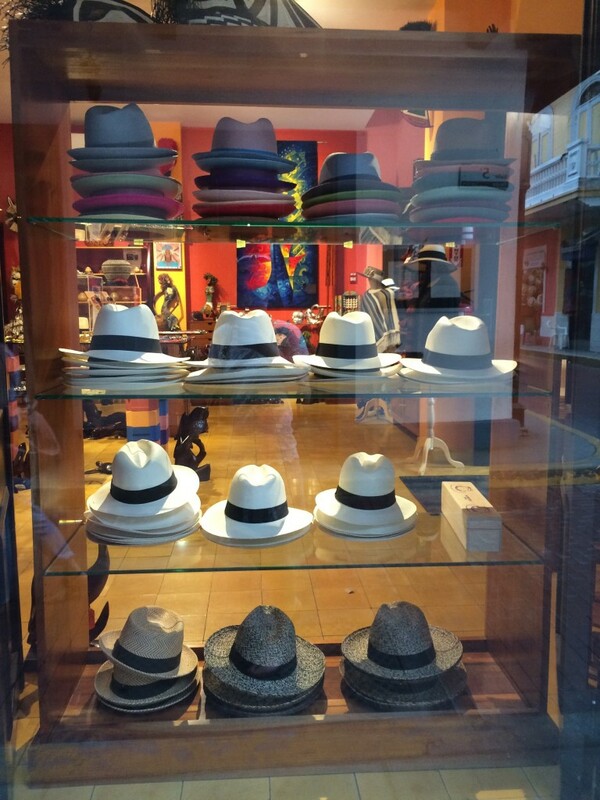 Hint: When visiting the Casco Viejo don’t forget to buy a Panama hat! This is the perfect place. 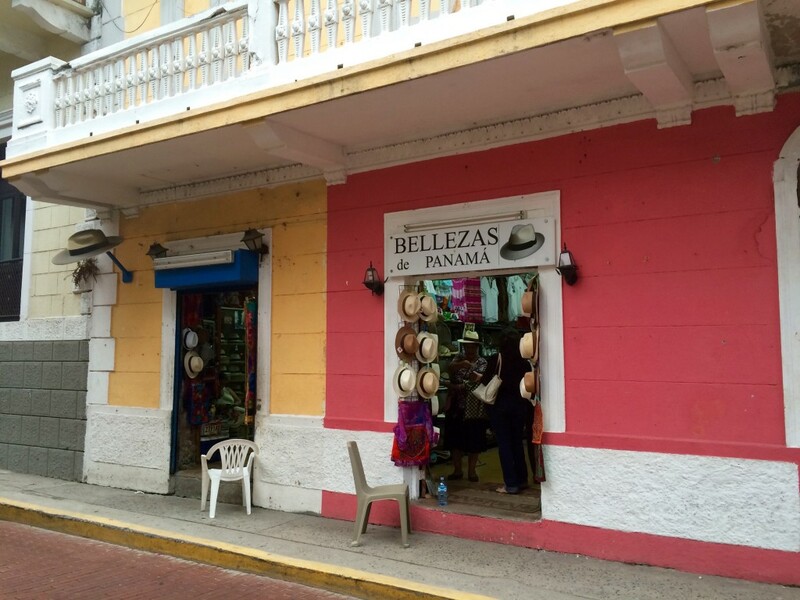 Interested in visiting Panama? Book now!